A giant whale has been found lifeless along the coast of Brgy. Gabi at Gigantes Island, Carles town in Iloilo province. 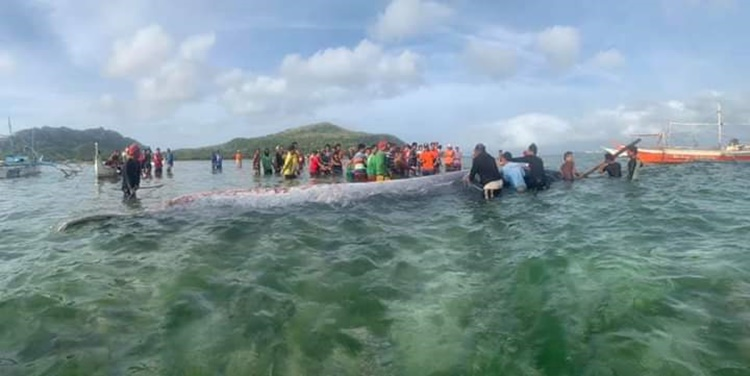 Residents in the area could be seen pulling off the sea creature off the shore. 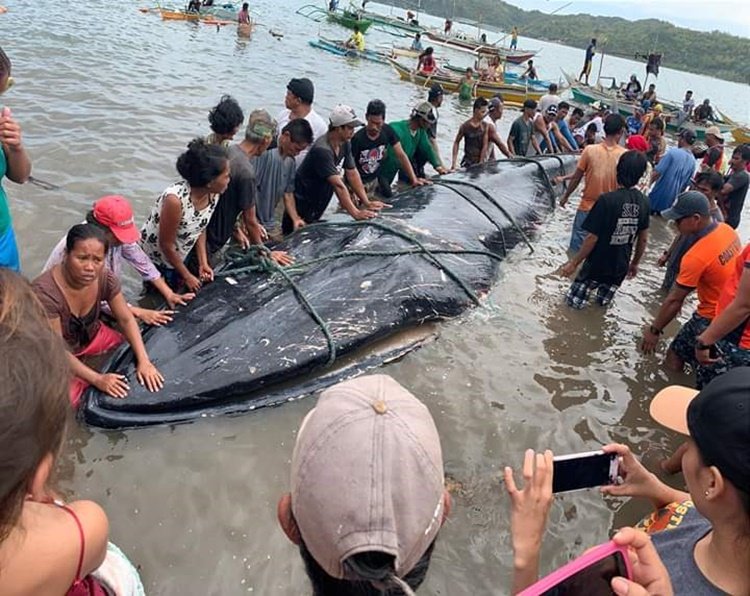 As of the posting there's no further details of what the cause of the death of the dead whale.